Today Sony has launched the new Xperia XA Ultra in India, which is a selfie-centric smartphone. The phone features a 16-megapixel front facing camera with OIS and flash module. It will fo go on sale from tomorrow at Sony Centers and other retailers. The Xperia XA Ultra has been priced at Rs. 29,990. 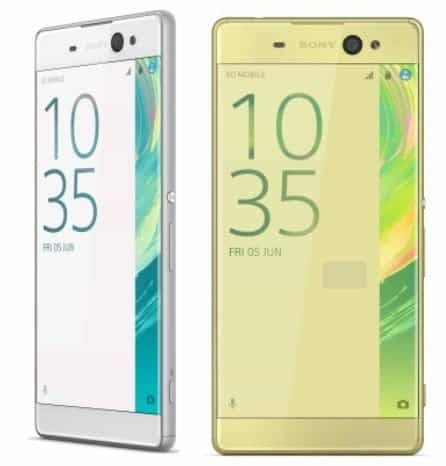 Earlier, Sony had launched the Xperia X Dual and Xperia XA Dual in India in May and announced that the Xperia XA Ultra would be launched later. The Xperia XA Ultra supports dual nano SIM cards. The phone features a 6-inch fullHD display with new Mobile BRAVIA Engine 2. It is powered by a 64-bit MediaTek Helio P10 MT6755 octa-core processor, coupled with 3GB of RAM and it runs Android 6.0 Marshmallow out of the box with Sony’s own Xperia UI on top. There is 16GB of internal storage which can be expanded via microSD card. The main highlights of the Xperia XA are the cameras. The phone sports a 21.5-megapixel rear camera with EXMOR-RS sensor, hybrid autofocus, HDR photo mode, auto scene recognition, and of course, a LED flash. There is a 16-megapixel selfie camera with a Sony EXMOR-R sensor, Optical Image Stabilization, auto-focus, HDR and front-facing flash. The lens has a wide viewing angle of up to 88 degrees. Xperia XA Ultra packs a 2700mAh battery which the brand has claimed to deliver up to 2 days of battery life. Sony also claims that the charger, bundled with the phone will give 5.5 hours of battery life in just 10 minutes of charging. Connectivity options on the Sony Xperia XA Ultra include 4G, GPRS/EDGE, 3G, A-GPS, Wi-Fi, Miracast, Bluetooth 4.1, DLNA, and NFC. The handset will be available in three colors- White, Graphite Black, and Lime Gold. For you convenience, we have added the full specs sheet below.